Making our shortlist for Wimbledon betting apps and sites is Betvictor who always seem to have a new account signup offer for Wimbledon. This is one of the one the oldest and most well-known names in British bookmaking, with a smoothly designed site and mobile app, complete with the free bet for using for the All England Club’s premier event. Betfred usually offers a great welcome for new account signups to go with Wimbledon betting. The mobile and large-screen web sites are fully updated with Wimbledon betting odds at all times. *Update*: We recommend downloading the free BookieBoost app on Android or iOS to take advantage of all of the bookmaker free bet offers as well as being able to view Wimbledon specials. BookieBoost also has a host of bet tools and live tennis scores so that you keep up to date from the one centralised app (which means less icon clutter for your home screen). It all began in the 1870s when a new sport known as lawn tennis was invented by Major Walter Clopton Wingfield. Within a year or two this game was added to the activity list of The All England Croquet Club, which then changed its name to The All England Croquet and Lawn Tennis Club (in 1877). The club created the first Lawn Tennis Championship which began on the 9th of July, bringing in a new code of laws for the game. Spencer Gore won that initial tournament, beating 21 other entrants to the title. 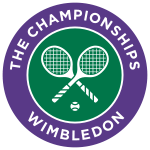 The game grew in popularity very quickly and Wimbledon is still regarded as the world’s premier tennis tournament. Today, Wimbledon is one of the four Grand Slam events alongside the Australian Open, French Open and US Open. English competitors have not had much success at Wimbledon though, with Fred Perry the last English male winner in 1936 and Virginia Wade for the women in 1977. Wimbledon has many traditions, with competitors and spectators alike adhering to strict dress codes, no sponsorship advertising to be seen on-court, and of course the devouring of strawberries & cream. For more information about Wimbledon, check out the official Wimbledon web site. As well as Wimbledon betting odds, check out some of the other areas of the site for major sporting tournaments to bet on. Have fun and as always, please gamble responsibly.